Once people are out of acute pain, the real healing begins. Our goal here is to help the damaged areas to heal and move properly again. This is where we spend the most time together. If damaged joints heal improperly, these changes turn into arthritis, limiting your work and fun. The healing has finished, and the strengthening begins in earnest. If you have seen someone with a broken arm once their cast comes off, that arm has healed, but is small compared to the other. We have to strengthen the correction, or re-injury is likely. This phase has you going back to exercise, back to work fully, and having fun again! Life is chaotic, and the stresses of life are constantly trying to break us down. Therefore, true health is a journey, not a destination. Health maintenance is easier and more effective than trying to fix something major. Our passion is to see our practice members abandon the prevailing sickness care model of health (waiting for symptoms and then taking action), in favor of get well, stay well. Regardless of your health goals, please understand that we are here to help you. You’re the boss! It’s your body, your health and your future. 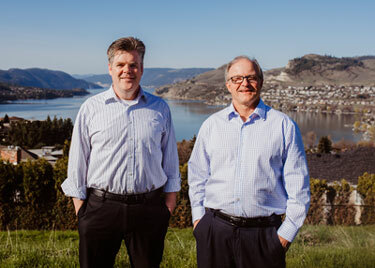 Our job is to offer you the finest chiropractic care possible in Vernon, make appropriate recommendations and referrals and work together to achieve your goals. Take the first step towards relief and health by calling our practice today and making an appointment to discuss your health goals. Call Vernon Chiropractic and Massage today to schedule your appointment.